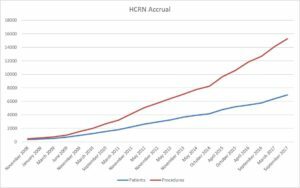 Strength in numbers has become an important asset of the HCRN as we have expanded to have a distributed presence across the US and in Canada. The addition of new sites to the network increased our capacity to move forward with improving treatment and outcomes for children with hydrocephalus while capturing the experiences of a more diverse patient population. The expanded size of the network also means there is a lot of ground to cover at the network meetings! These twice yearly meetings are truly special events, where experts in neurosurgery, biostatistics, clinical trials, and data collection gather to share new research ideas and findings, and to ensure the research being conducted is top notch. This year 34 investigators, coordinators, statisticians, and data and project managers gathered in Deer Valley, Utah to discuss the network’s progress. One important highlight was the review of the HCRN’s strategic plan. Generated at the founding of the network 10 years ago, this plan outlines the broad mission of the HCRN and the specific initiatives developed to carry out that mission. To dramatically improve the lives of kids suffering from hydrocephalus by conducting important and field-changing multi-center clinical research. Conduct high-quality, multi-center clinical research on hydrocephalus. The HCRN continues to carry out this initiative by attracting centers and clinical researchers with demonstrated excellence in research, launching clinical studies focused on the most pressing questions in hydrocephalus, and publishing high quality papers each year. Create a world-class multi-center clinical research organization. This includes seeking and obtaining funding, creating research operations systems to carry out studies, and ensuring oversight of the organization. 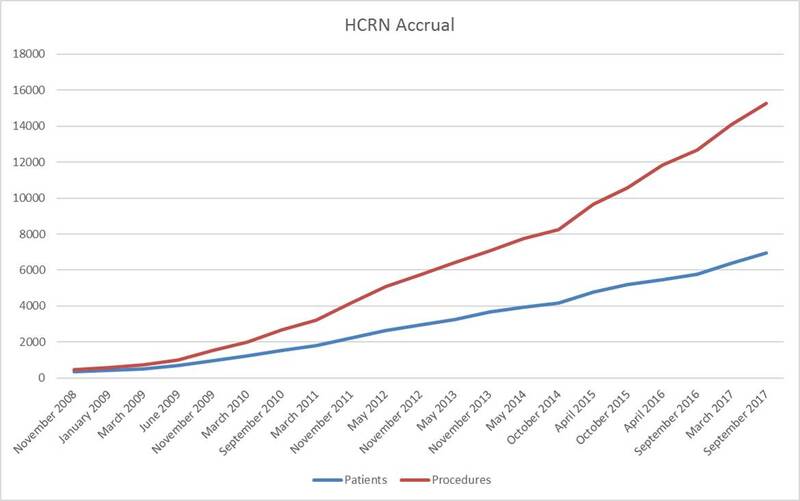 The HCRN has grown from 4 pediatric clinical centers in its first year to 14 at the time of our recent 10-year anniversary, maintaining the required infrastructure to run smoothly while continuing to seek ways to expand both research and clinical impact. Create lasting relationships with key outside influencers to further the mission of improving treatment. Our network seeks to collaborate with other hydrocephalus experts, improve national and legislative awareness of hydrocephalus, and disseminate findings to clinicians. We accomplish this through our work with PCORI, NIH, the Hydrocephalus Association, attendance at national and international conferences, and through personal relationships with patients and families with hydrocephalus. The semi-annual meeting is also a time to check in about ongoing projects. Attendees discussed the Entry Site Trial, led by Dr. Bill Whitehead, which now has over 50% of enrolled subjects needed for the trial! Also covered was ongoing work about CSF biomarkers by Dr. Dave Limbrick, an overview of the impact of the recently added clinical centers on the HCRN Core Data Project (Registry) by Dr. Jay Riva-Cambrin, and several projects utilizing the Registry data. Registry data projects include shunt infection by Dr. Tamara Simon, utilization of hospital resources by Dr. Jonathan Pindrik, and subsequent procedures in patients who have been treated with endoscopic third ventriculostomy with choroid plexus cauterization (ETV+CPC) by Dr. Curt Rozzelle. Another exciting update was the submission of a grant proposal to the National Institutes of Health (NIH) to study cognitive and other outcomes in infants undergoing shunt placement or ETV+CPC. The network is looking forward to receiving news from the NIH on this submission next spring. You can find this post and send us questions or comments on our Facebook page or email us at info@hcrn.org.